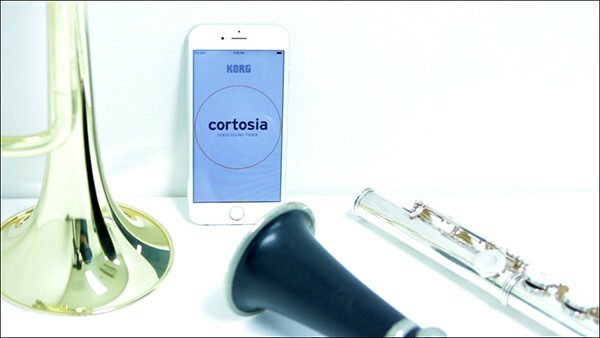 KORG has answered the question: “Can a tuner recognize good sound?” With the KORG cortosia you'll see what's missing from “good sound” with just a glance. Even practice that's slightly boring (such as practicing the production of single notes) will become enjoyable. 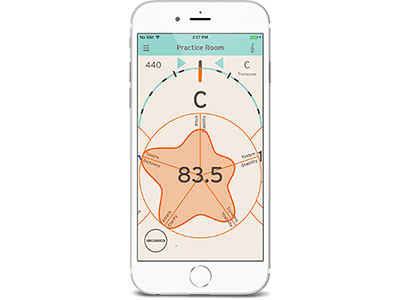 The cortosia is a completely new type of interactive tuner app designed to improve the overall quality of sound produced by the artist. The initial release supports the flute, clarinet and trumpet with future upgrades expected to increase the variety of instruments supported. Just what is “good sound”? Beautiful sound, pleasant sound, sound that resonates in the listener's heart. Perceptions of “good sound” differ between people, but could there be some commonalities? Through cooperative research with Pompeu Fabra University in Barcelona, Spain, under the direction of Professor Xavier Serra, KORG has arrived at a technology “Artistry” (*1) for evaluating “good sound” based on five elements. 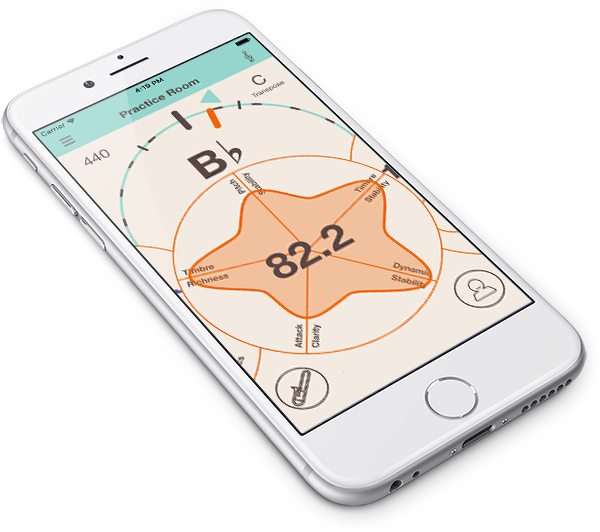 Simultaneously with the tuner display, a radar chart shows the results of analyzing these five elements in real time, and scores them on a scale of 100 points. While tuning, you can see at a glance what aspects of your tone are lacking. You can also listen to a model tone and hear how it differs from your own sound. This is highly recommended for beginners who have just started a musical instrument, as well as for intermediate players who want to advance to the next level. 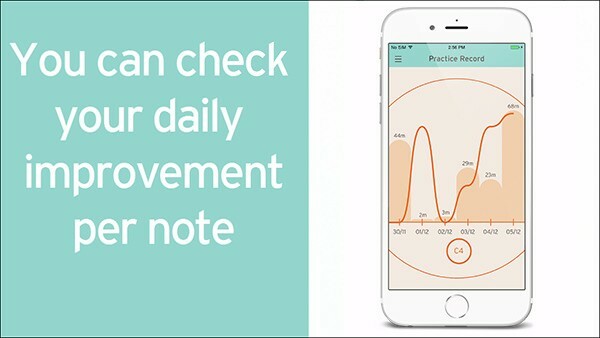 Data is automatically recorded and kept when tuning and scoring. 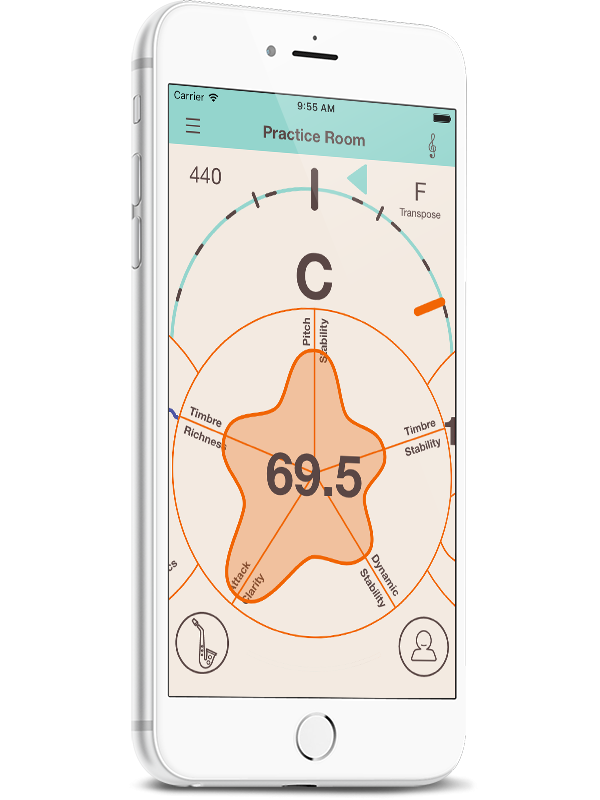 You can audition the accumulated recording data or recall a radar chart for it, and you can also check the number of hours you practiced and your best score for each day. By looking at your past results, you can see how you are progressing. In addition, you can post your score to a social networking service such as Facebook or Twitter, allowing you to record or upload your daily progress (or backsliding) as if you were writing a diary. Whether you use this to compete with your friends, it's a great way to improve your skill while enjoyably sharing information. 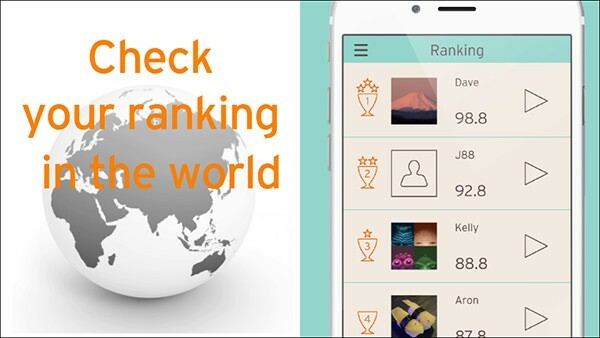 Your ranking is compiled by averaging your highest score for each note, and displayed. You'll be able to see your current position among performers around the world who use cortosia. In addition to supports five instruments: flute, clarinet, trumpet, violin, cello, and saxophones , trombone, version 1.5 supports euphonium . 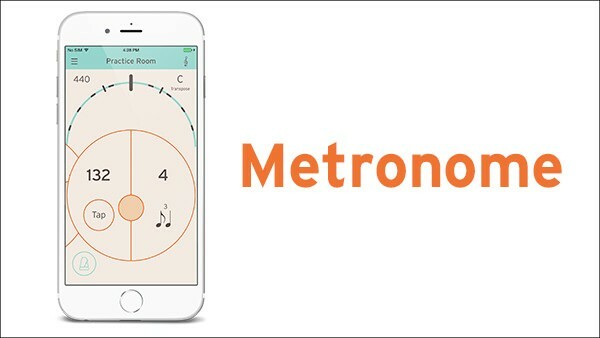 In addition to a chromatic tuner that benefits from KORG's forty years of know-how in tuner development, there's a metronome that supports tap tempo, and even a level meter, making cortosia a great partner for performance or practice. Besides normal sales through the Apple store, cortosia is also sold via the VPP (Volume Purchase Program) store. VPP is only for educational customers where purchases of 20 or more units as a single order can receive a 50% discount*. VPP is Apple Corporation's official educational support program, and provides easy entry and management to volume　sales required by education groups and combines great value with excellent security functions. Please consider VPP to acquire cortosia for any relevant educational and recreational activities for your school. * During the appropriate sales period, you can purchase cortosia at a 50% discount from the sale price.